Twenty hinterland communities are being targeted to receive internet by mid-year, as part of an ambitious project by the administration to bring more government services to remote areas. The solar-powered hubs, complete with VSAT dish (a very small aperture terminal) linkup for internet connectivity, will be managed and monitored by the individual communities. It is a project that is long in the making that will see a total of 200 such hubs being built over five years in hinterland communities, says Minister of Telecommunications, Catherine Hughes. 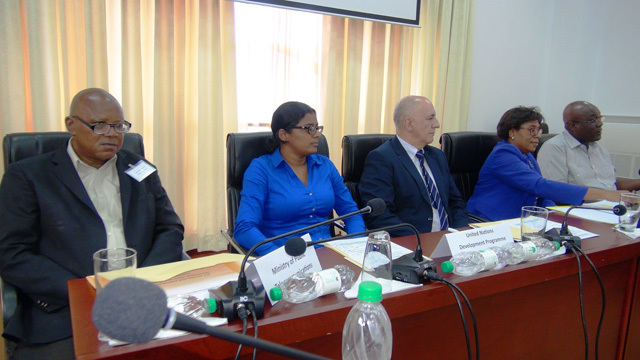 The official was yesterday speaking to reporters shortly after a key meeting with stakeholders from various communities and government entities that will be overseeing the US$17M coming from the Guyana REDD‐plus Investment Fund (GRIF), a multi‐contributor trust fund established to manage payments for forest climate services provided by Guyana. According to Floyd Levi, Chairman of the National Data Management Authority (NDMA), while the individual hubs will be managed by the communities, it will be Government who will be picking up the tab for the internet connectivity. The project is being seen as a major one by the administration. According to Hughes, by next year December, some 200 Government services will be online. It will allow especially remote and poor areas whose residents would normally have to travel to town, to apply online to secure services like passports, drivers’ licences and birth certificates. The internet service will see live streaming, allowing for classes to be taught to students, and even access to medical service with a doctor from elsewhere via the satellite linkup. According to Phillip Walcott, the Project Manager for the pilot project, a needs assessment costing US$525,000 had been completed in 2017. It would have given detailed information of the communities that are in critical need. The United Nations Development Programme is involved in the project, overseeing the implementation. Already, several companies have tendered for the provision of internet services and these are being evaluated, Walcott said. He said that Government has learnt valuable lessons from the 172 ICT hubs. According to Minister Hughes, the project is a huge one as for the first time, some communities will have access to internet, one of sustainable goals which have significant positive implications for remote areas. She stressed that in many communities, there are no phones with the only communication being radios, a huge security risk. The hubs will now change all that. According to Levi, simple things like applying for a child to enter school will be possible at the 20 communities. There is a possibility of the project allowing government entities to exchange documents, and reduce the red tape for citizens. The 20 communities targeted for the pilot phase are Kaikan, Jawalla, Phillipai, Paruima, Kako, Isseneru, Kangaruma, Tassarene, Kurukubari, Monkey Mountain, Apoteri, Rewa, Surama, Aranaputa, Toka, Shulinab, Maruranau, Karaudanau and Wiruni. Satellites have brought Internet access to places where IP communications seemed impossible. 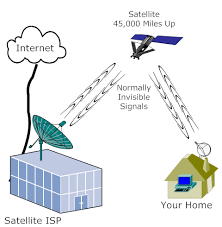 In this section, we explain how satellite Internet works. 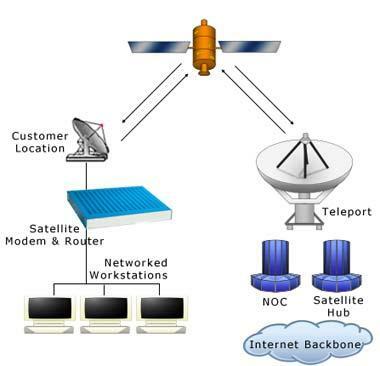 You will understand how bytes of information or simply a mouse click travels all the way from your computer to the satellite, to our NOC and back.